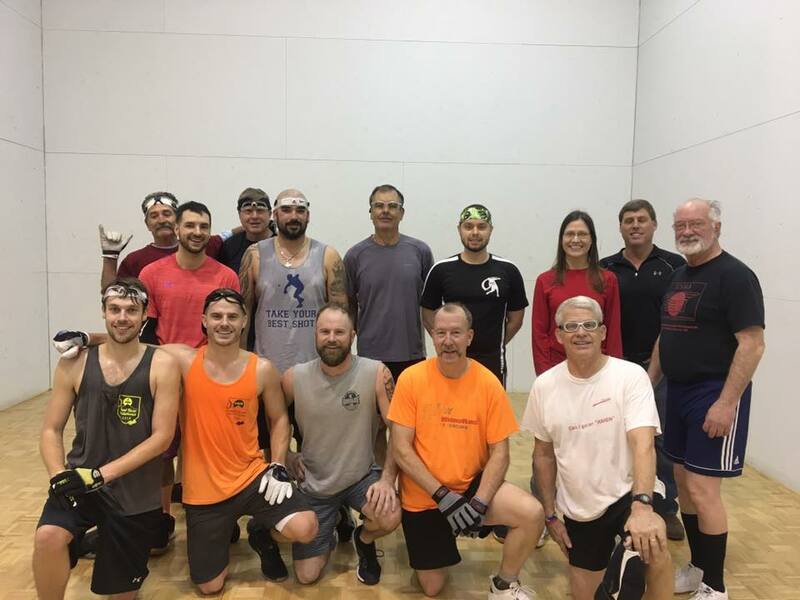 The Hugh Hinman Memorial tournament celebrates the life of Hood River’s handball fanatic Hugh Hinman, as the Oregon handball community gathers to celebrate one of its legends in the outstanding annual tradition. Hugh Hinamn’s niece and WR48 pro Jennifer Hinman takes tremendous pride in “The Hugh,” recalling the special relationship between her father and Hugh, Hugh’s family, and the tremendous support of the local handball community in running the annual tribute event. My dad and his brother Hugh Hinman were very close growing up. They had two other siblings, my dad being the oldest. The third sibling was the sister, Debbie, who died of cancer in her 20’s, leaving three children behind. Uncle Hugh was next. The youngest sibling was a bit younger and there was not a great relationship with him. Dad and Hugh were very close. When 1-Wall was very popular in Oregon, my Dad was state champion many times, battling Hugh many times in the finals, with Hugh winning once. They won State doubles many times together. In the 90’s, they modified the 1-Wall courts at the Elks into two 4-Wall courts, where they both learned the 4-Wall game together and continued their competition, both together and against one other. Hugh was diagnosed with cancer sometime in the mid 90’s and died June 10, 1996. My father and Hugh’s father, my grandfather, died of cancer in December of 1995. The first tournament dedicated to Hugh was played in January/February 1996. Hugh was present for that tournament. At that time, a plaque was presented and one of the courts was dedicated in his name. 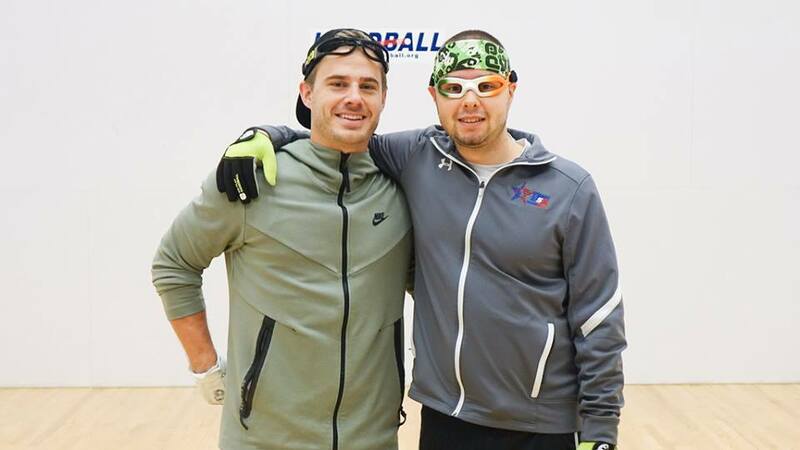 The players that were invited to the tournament were those that had played 1-Wall with Hugh. 10 people from out of town and 10 local players were teamed, with no one knowing his or her partner until the morning of the tournament. The best players from Hood River played with the worst players from out of town. After tournament play, there is always a dinner/banquet, where speeches and stories are told about Hugh. The tournament was and is a tribute to Hugh by my father, Dale. 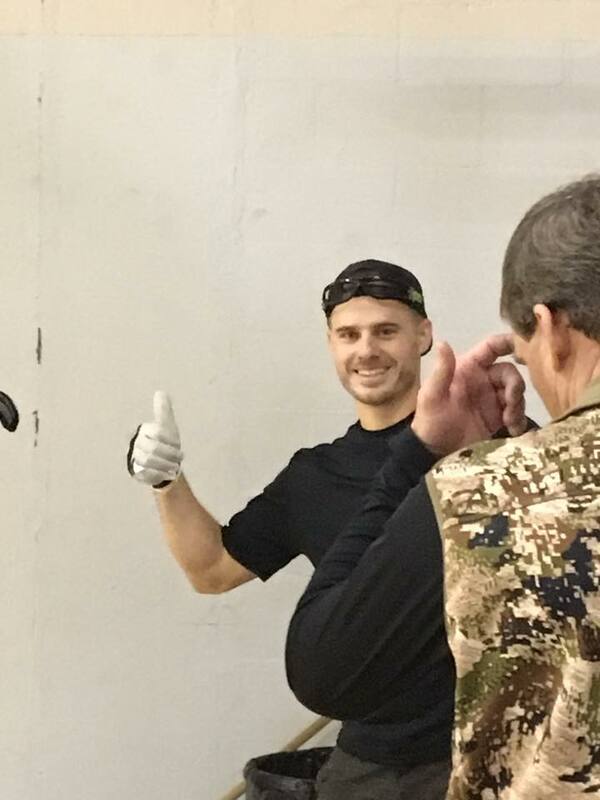 He wanted to honor his brother, and every year we honor the bond of brothers, the love for handball and the great memories that have been made. I started running the tournament years ago with the help of so many local players. Dad would rather play or watch. Michael Stenberg and Jerry Mohar really picked up the work on several years I was unavailable, including this year with knee surgery. We try to invite those “old timers” that played with Hugh, but have had many great substitutions over the years, all of who are assessed for the spirit of the tournament (you better have a great attitude!). Hugh was a hard-working and funny man. He had four daughters and the one and only love of his life, his wife Shirley. This is a man who could say anything to you and you always loved him. He was ornery, but so very fun. He coached softball, coaching his daughters and me through the years, coaching with my Dad. Those brothers were inseparable in life. Hugh loved his family, hunting, fishing and holidays, but he really loved handball. He was a great competitor and a great man, father, uncle, brother, son and husband. His memory brings us all together every year for this blessed event. I love talking this wonderful event. The 2019 Hugh Hinman Memorial featured 12 invited entrants, with each having a great time in a round robin/pool format, and of course, the banquet. “Jennifer gave a great presentation!” declared Nick Flores. Thank you to Jennifer Hinman for sharing this wonderful tribute to your uncle, Hugh Hinman.